I had been doing so well. Doughnuts are everywhere right now. I assume doughnut pans have been around for a while from specialty shops or restaurant supply stores but their recent availability at every turn has made the doughnut the latest darling of the food blogosphere. I've resisted buying one because I am not a big fan of one use tools in the kitchen. Until now. I'm not even sure what pushed me to finally succumb to all of the hype, but succumb I did. I'm not a visionary, but I see a lot of doughnuts in my future. They are simply too easy to whip up, and so satisfying both to make and eat. 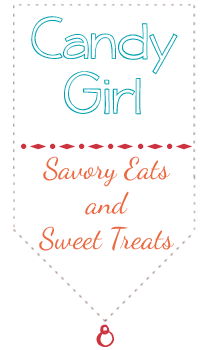 While I have lots of ideas for doughnut flavors, I wanted to incorporate the other It Girl of the blog world, Biscoff Spread. Longtime lovers of Biscoff cookies, I knew I had to get my hands on a jar of the spread asap. Tastes exactly like the cookies. Exactly! After tinkering around with the quantity of Biscoff to add to the batter and the glaze, I think I came up with a winner. At least it was a winner around here and the to the random strangers my husband gave some too. The doughnut has a subtle flavor from the spiciness of the spread and the than an extra punch of the warm spice is found in the glaze. I left a few streaks of the spread in the batter so every so often you would bite into a delicious pool of Biscoff yumminess. Biscoff Doughnuts. How trendy is that? In large mixing bowl, whisk together cake flour, sugar, baking powder, nutmeg, and salt. Add buttermilk, eggs, and butter. Stir until just combined. Stir in Biscoff spread. Fill each doughnut cup approximately 2/3 full. Bake 7-9 minutes or until the top of the doughnuts spring back when touched. Let cool in pan 4-5 minutes before removing. Meanwhile, make the glaze. Whisk together powdered sugar, vanilla, and creme. Add in Biscoff glaze and whisk until smooth. Finish doughnuts with Biscoff glaze. Doughnuts are best served fresh. Makes 12 doughnuts. OK, I had no idea Biscoff spread existed! It was probably better I didn't but too late - I bet it is delicious, I adore those cookie. I also love your line, "I'm not a visionary, but I see a lot of doughnuts in my future." - brilliant! These just have to be delicious. Time for doughnuts and time for you to please stop at my blog. I have seen this spread on one blog in particular for a while now but I've never seen it in stores (where did you find it?). I've never had one of their cookies, so I don't know what I'm missing (: Then again, I just tried Nutella for the first time a week or so ago, so I'm clearly behind the times. Your donuts seriously look like they came from a bakery! I can't wait to try these. Danielle - I found Biscoff spread at Meijer. The cookies are available there and at Kroger too! I keep hearing about how wonderful Biscoff is but I've never tried it. Might have to now! 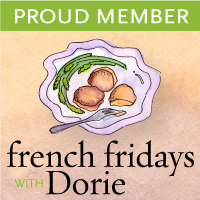 Thanks for linking up at A Little Nosh this week!